The Journey Church supports various missionaries and non-profit organizations with the USA and beyond through various relationships within our church. We have also sent out our own missionaries. 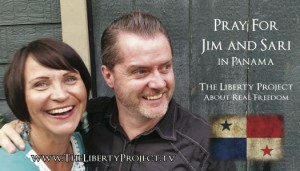 Jim and Sari Sim are from TJC and pioneering a Journey Church Panama and a ministry called The Liberty Project.